Whether used in a living room, dining room, kitchen, or bathroom, tile floors add to the charm and aesthetic appeal of any home–when they’re clean, that is. 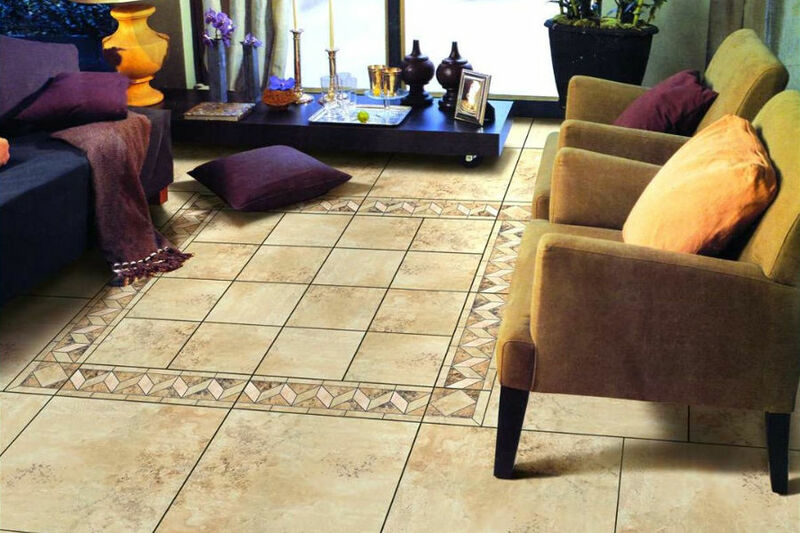 If tiles become dirty, however, they can drag down the look of an entire room. When guests come to your house, your grimy tiles are one of the first things they’ll notice. But what if you don’t know how to clean tile floors? Not only will they age quicker, but you could damage them too. Want to find out how you can prevent this from happening? Read on to learn everything you need to know about keeping your floor tiles squeaky clean and making sure they look great for many years to come! Don’t forget to use a vacuum or broom before applying any type of cleaner to your floor. When cleaning tiles, opt for something other than a sponge mop, as it has a tendency to propel water into your grout. Most other mop types will work well, but you can also go with a nylon scrub brush or rag. Just steer clear of using cleaning tools with metal. You have to be careful not to use acidic cleaners either, especially if you have glazed tiles. Oil-based and wax-based cleaners are a no-go as well. Instead, use warm water and a non-abrasive cleaner with a neutral pH. Keep in mind that grout is absorbent and stains easily. If you notice a lot of stains between your tiles, your best bet is to use a nylon scrub brush to get them out. Also, dirty water leaves dark spots after it dries, giving your tiles a muddy look. So change the water often when using a mop, and make sure you don’t leave any dirty water or residue behind when you finish. Tile is not only affordable, but it’s also one of the most durable flooring options for your home. In fact, out of all flooring materials, porcelain tiles prove to be the most resistant to dents and scratches. However, that doesn’t mean your tiles are indestructible. Grit and dirt will build up on the floor, wearing down your tiles and giving them a dull appearance over time. This is why you need to prioritize tile maintenance. To prolong the life of your tile flooring, use a wet mop once per week. In areas that experience more foot traffic, be sure to mop more often. If you’re unsure about a certain cleaner, try using it on a very limited part of your floor first. This way, you’ll feel much more comfortable cleaning the rest of your floor with it. However, tile floor care doesn’t stop at cleaning. Put down floor mats or rugs near high-traffic parts of your home, such as in front of doors, fridges, stoves, and sinks. Also, consider putting pads underneath your furniture as well. Now that you know how to clean tile floors the right way, it’s time to get after it! But while you’re at it, keep an eye out for any damaged tiles. No amount of scrubbing can remedy the unsightliness of a cracked tile floor. Tile damage can occur due to anything from poorly spaced joists in the floor to an unfortunate accident. Regardless of what caused the broken tiles, you’re better off patching them up sooner rather than later. 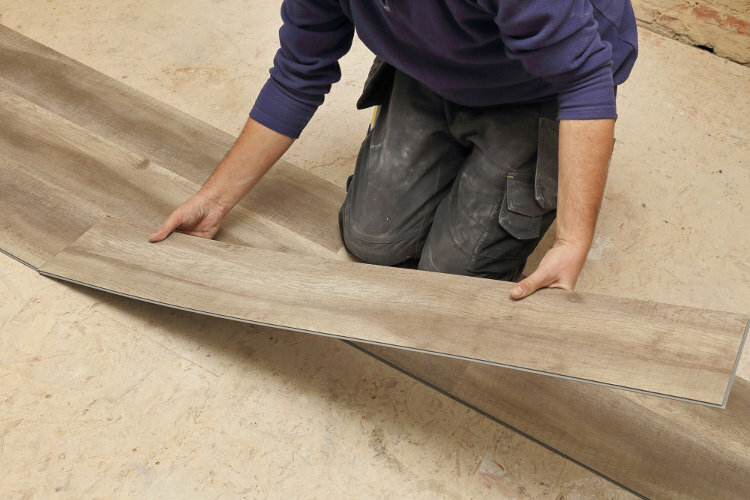 Next StoryHardwood Tiles vs Real Hardwood Flooring: Which Is Best For Your Home?